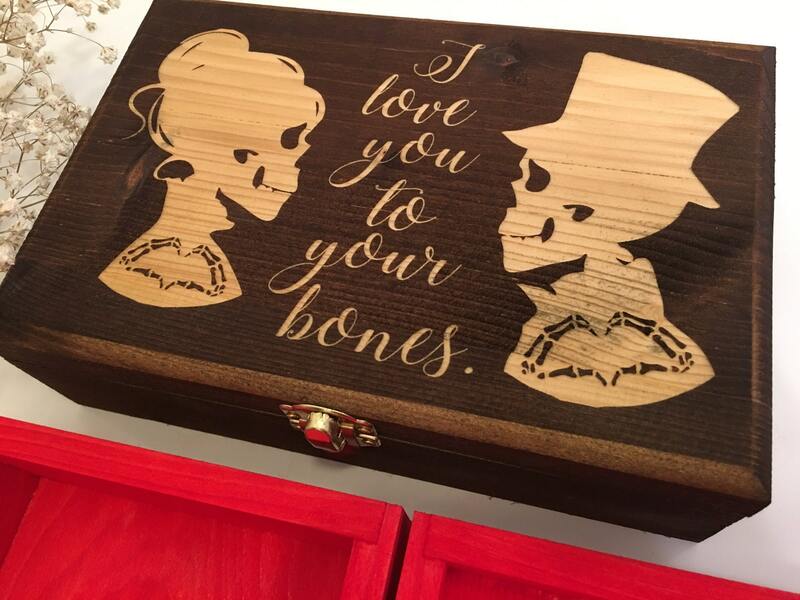 I love you to your bones. 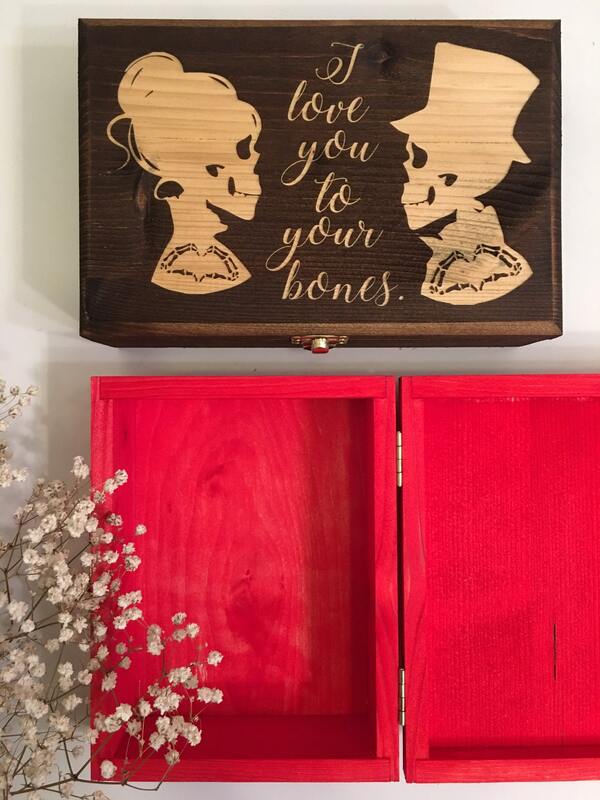 Because we could all love a little deeper these days... With a walnut brown exterior, laser engraved with an original skull design and a bright red interior to highlight whatever reminders of love you place on the inside, this wooden box is a keeper! 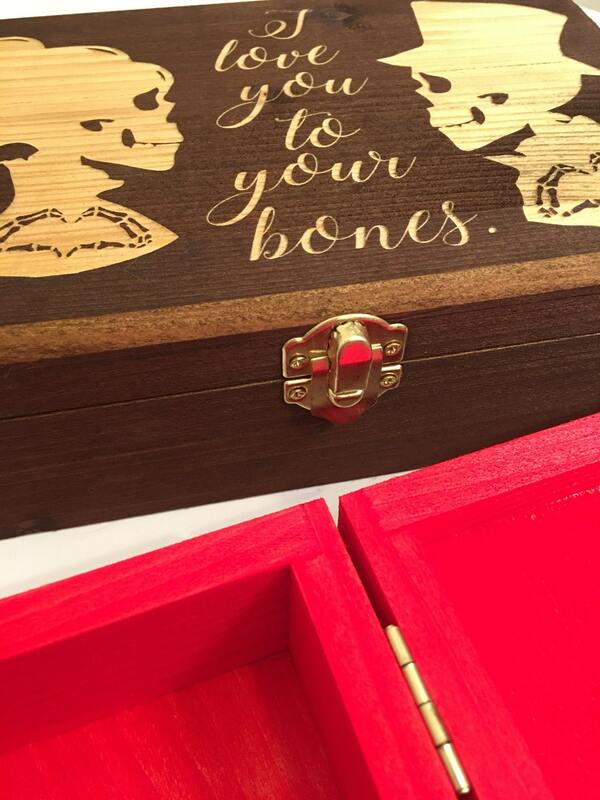 To add the option of an additional inscription on the inside lid, from the drop down menu you will see + INSIDE, choose that if you would like to add the additional option to engrave the inside of your lid. 2. From the drop down menu choose your box size. 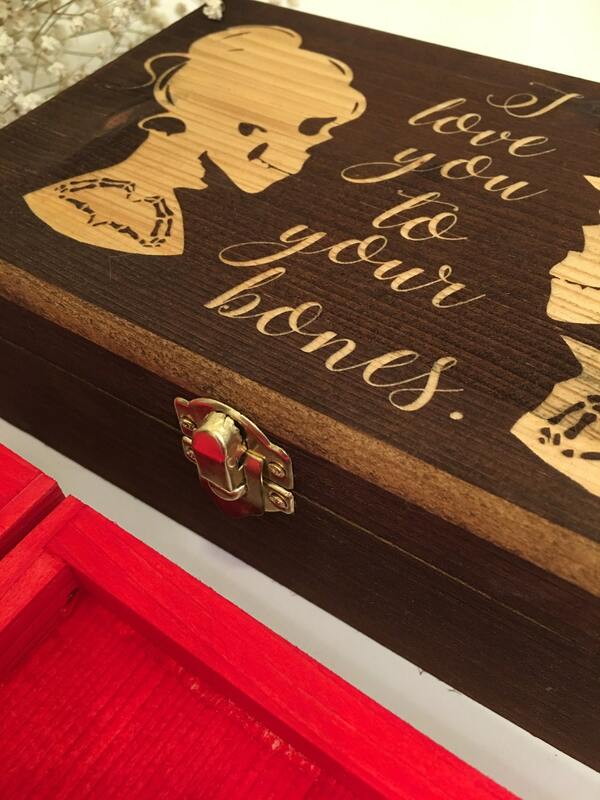 If you would like the additional option to engrave inside the lid as well, choose your box size +INSIDE. 4. If you chose the +INSIDE option, in notes at checkout indicate what you would like engraved onto the inside of your lid. Making sure to include your font choice(s) and any line breaks in your text. 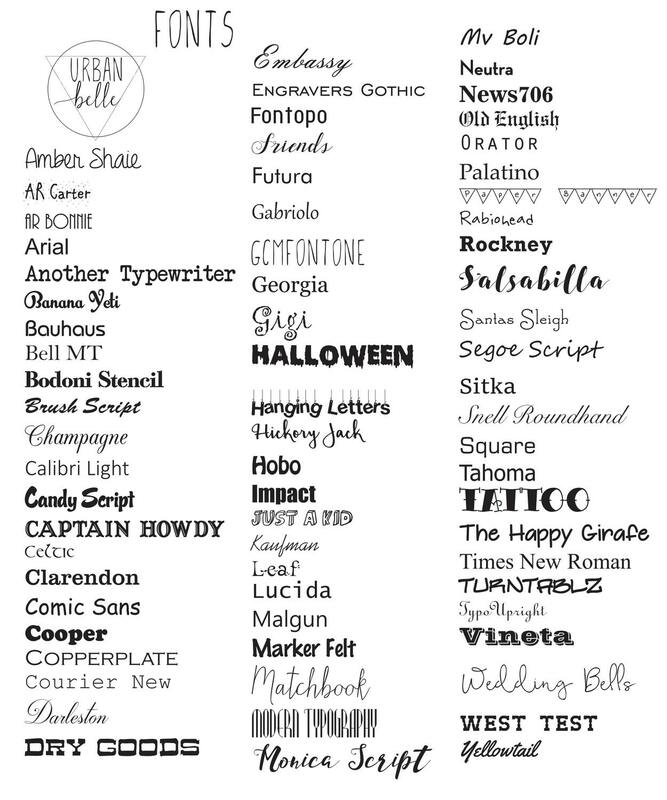 The font options can be viewed in the photos section of this listing.